Ousamane Dambélé had a spectacular performance against Villarreal at the Camp Nou this past Sunday. The Frenchman played the entire 90 minutes of the LaLiga Matchday 14 win, and was key to taking FC Barcelona back to the top spot in the table. Where he particularly stood out was with his dribbling, as he completed 10 runs in the game. That is more than in any other game that he has played to date for Barça, as he continues to add to his repertoire of tricks, changes of pace and incursions from the wing. 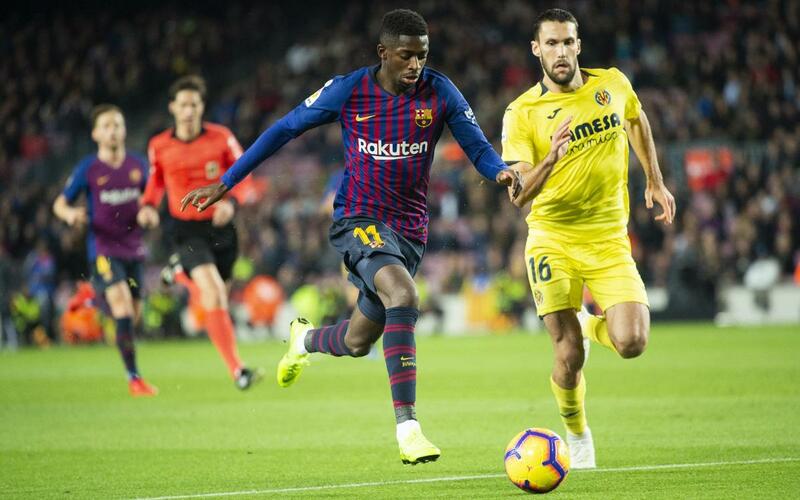 Dembélé also set up Gerard Piqué for the opening goal, 36 minutes into the contest. His cross from the right was his fourth assist of the season (two in LaLiga, one in the Champions League and one in the Copa del Rey). It was one of 58 completed passes and four chances on goal created. Check out Dembélé's majestic showing in our highlight video!